Today our Millville crew of 8 included current (and past!) 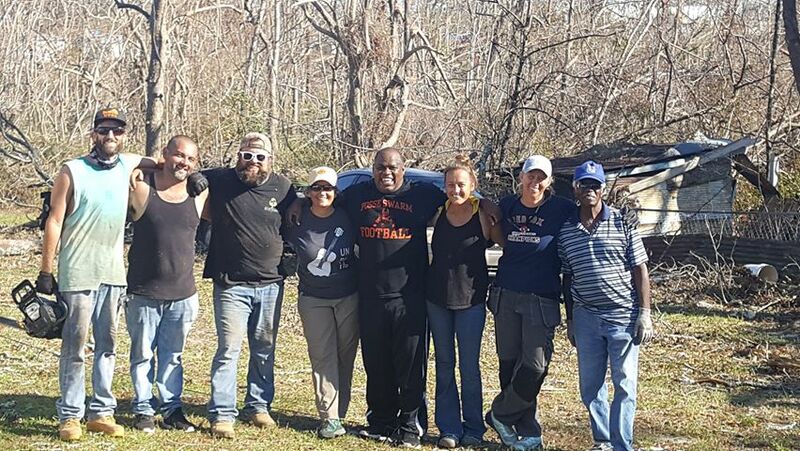 employees of 30A along with volunteers from EZ-PZ recycling and Resort Quest. Spirits in the community were strong, and we were happy to welcome some residents who volunteered to help us help their neighbors. As we were helping to repair a porch, the homeowner came forward and asked us to try to save his grandmother’s orange tree that was leaning dangerously close to the ground. He remembered his grandmother planting it, telling us the story in detail. The tree had stood in his backyard for more than forty years. We were able to shore the tree up with straps that kept it from continuing its lean. Hopefully it will be on its way to recovery. Many neighbors came by to share their happiness that we were trying to save the tree. 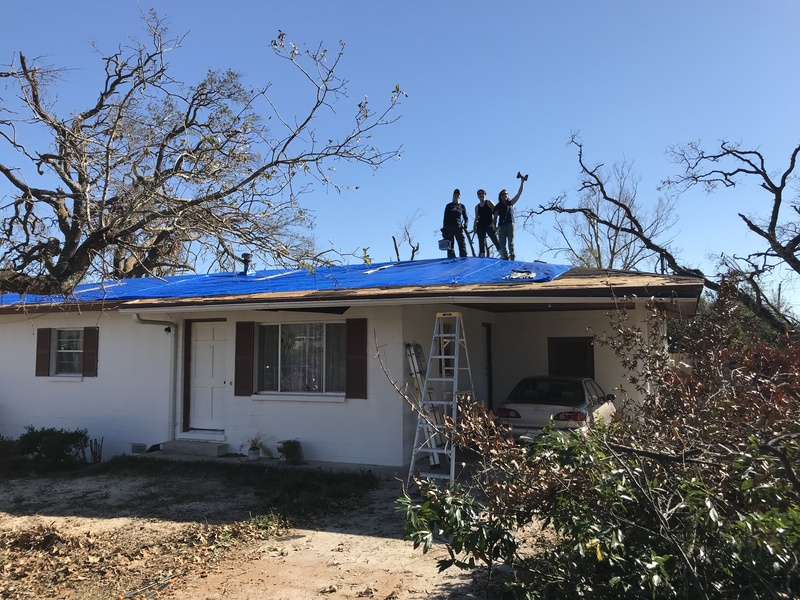 We set tarps on three roofs, cut down six large trees and cleared 2 yards of debris so the families could access their house freely. Three weeks after the storm and there is still so much to be done. 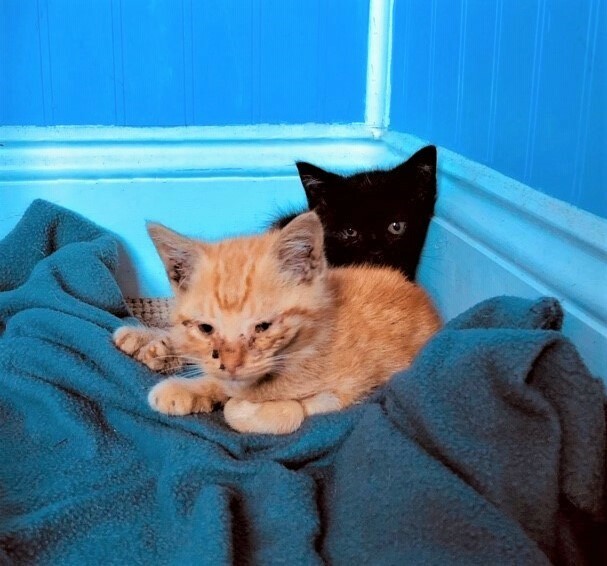 The surprise of the day was when two kittens appeared under some debris, an orange one and a black one. A member of our team had an animal carrier in her vehicle, so we were able to safely transport the kittens and are having them checked for injuries. 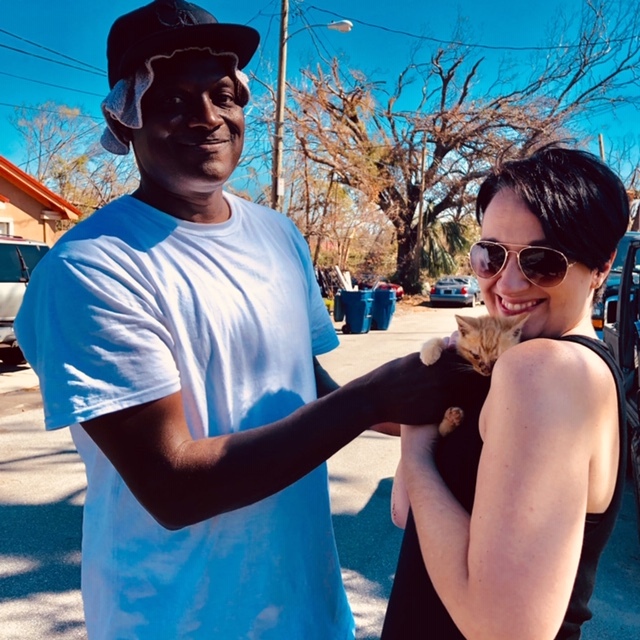 We are happy to report they have both been adopted and have been named Trick and Treat.